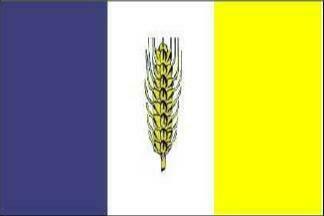 No idea when this flag was adopted, of the city of Peèky in Kolin district. It's at this webpage. 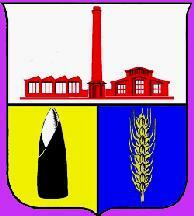 I reported a long time ago a flag with the CoA in the center, which was disapproved. The ear of wheat (I think...) has been retained and it looks quite simple and attractive. But ... has the Heraldic Committe of the Czech Parliament approved it? No info, but the flag seems to be fully approvable. Note that there is a gap of 1997-1999 flags, not yet covered by the Vexilologický Lexikon ÈR. Peèky. Now former flag. I'm sure I've sent this flag, along with others not in FOTW, previously to the list.